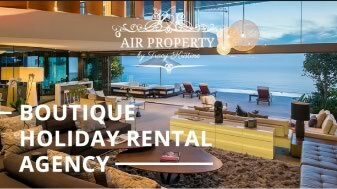 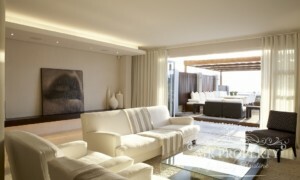 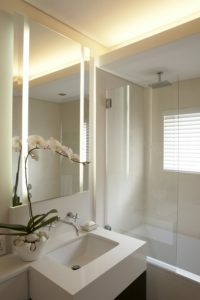 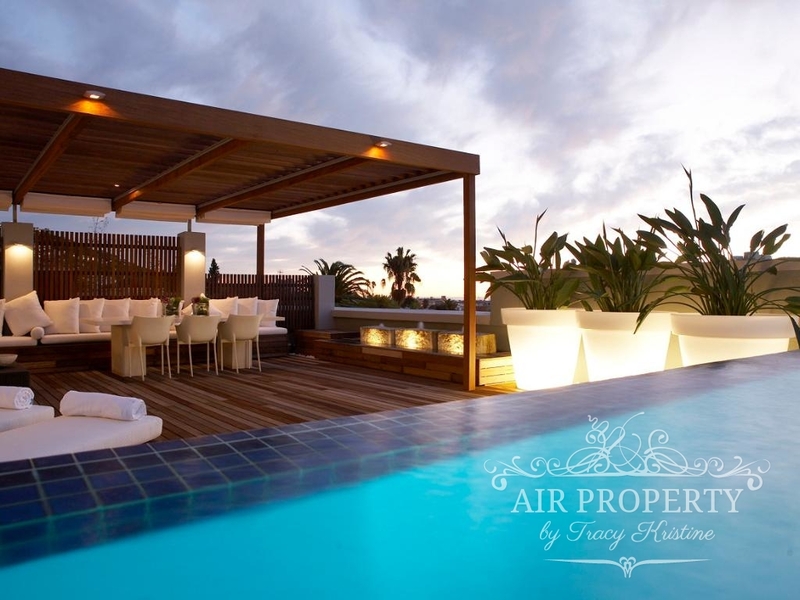 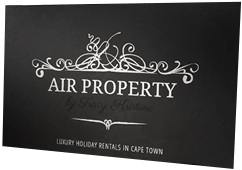 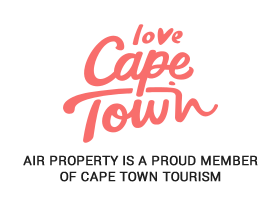 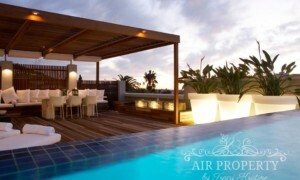 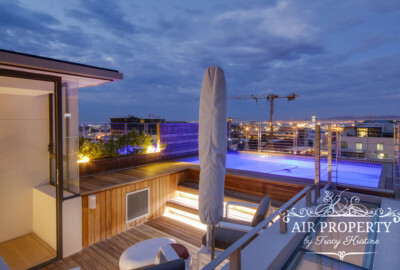 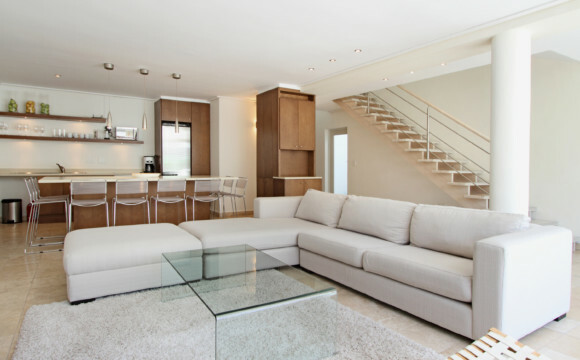 2 Bedroom Holiday Apartment in Fresnaye. 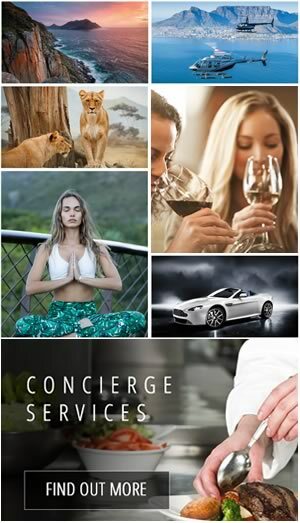 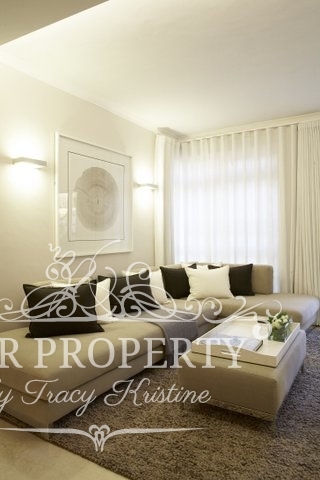 Located in the heart of one of the Cape’s most exclusive suburbs, Ballerina White is a beautifully renovated and luxurious two-bedroomed apartment in a secure complex in Fresnaye. 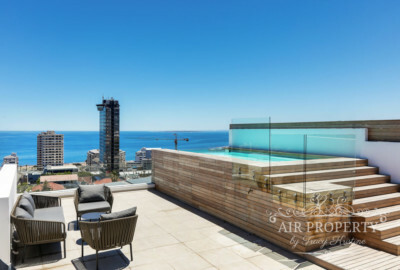 Situated in a quiet block on Ocean View Drive, this contemporary-chic apartment enjoys a large wooden terrace and entertainment area, private swimming pool and breathtaking views. 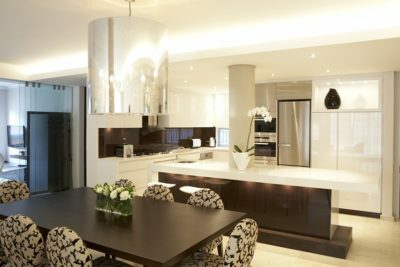 The luxury apartment enters into a modern open-plan kitchen with a sleek white centre island / breakfast bar, built-in and concealed cupboards, and state-of-the-art Miele appliances. 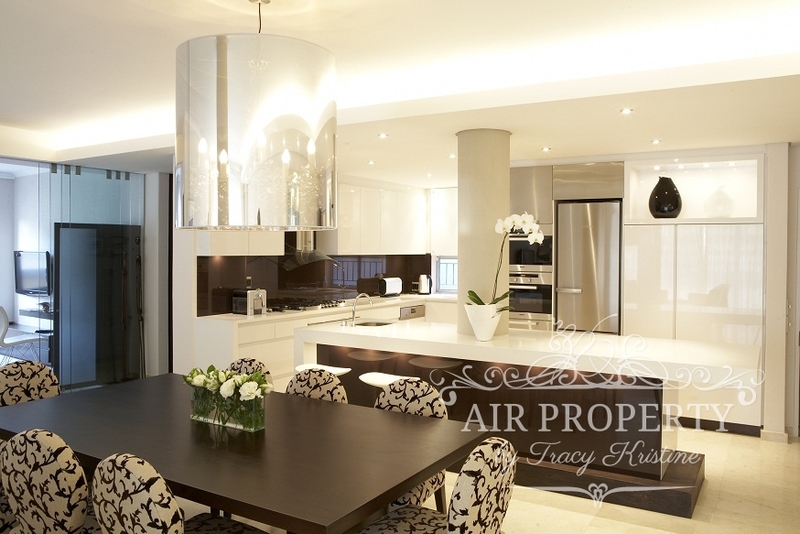 Lending itself to entertaining, the kitchen is home to both a gas stove and convection oven with special warming draw, and connects effortlessly with the dining and living spaces. A beautiful eight-seater mahogany dining table stands between the kitchen and the formal lounge and offers lovely views out over the deck and ocean beyond. 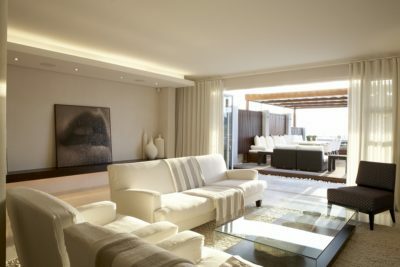 The lounge exudes elegance with white leather couches, plush carpets, and unique and unusual artworks and sculptures. 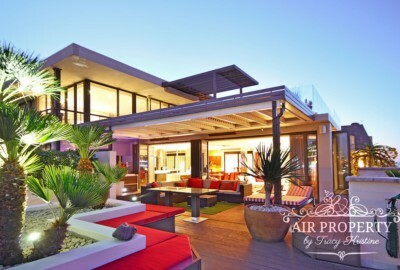 The bright and airy space is maximised by seamlessly flowing onto the balau timber decked patio. 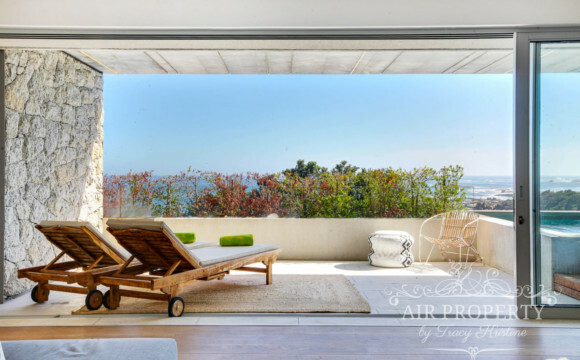 A foldaway deck-cover awning provides welcome shade and privacy for hot summer days, while a private rim flow pool overlooks the shimmering Atlantic Ocean in the distance. 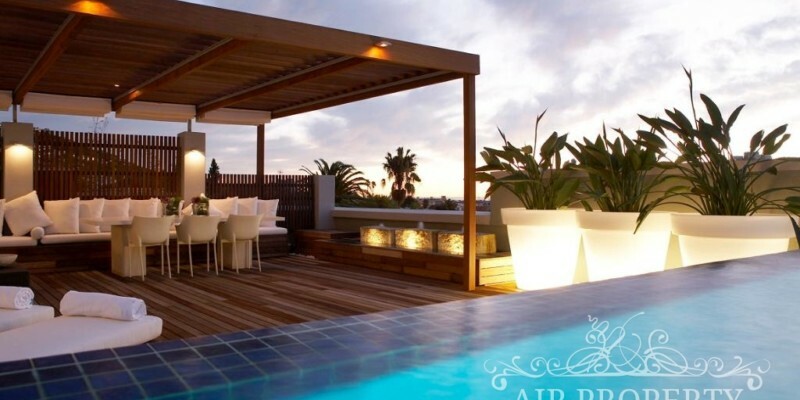 A modern gas BBQ, outdoor lounge and dining table for six and elegant planters that light up when the sun goes down make this area ideal for entertaining. Leading off the living room is an informal lounge-come-home-office, which can be closed off from the main living areas of the apartment by thick glass sliding doors. The master bedroom is a stylish haven with a queen-sized bed and elegant décor, which looks out onto the outdoor terrace and swimming pool. 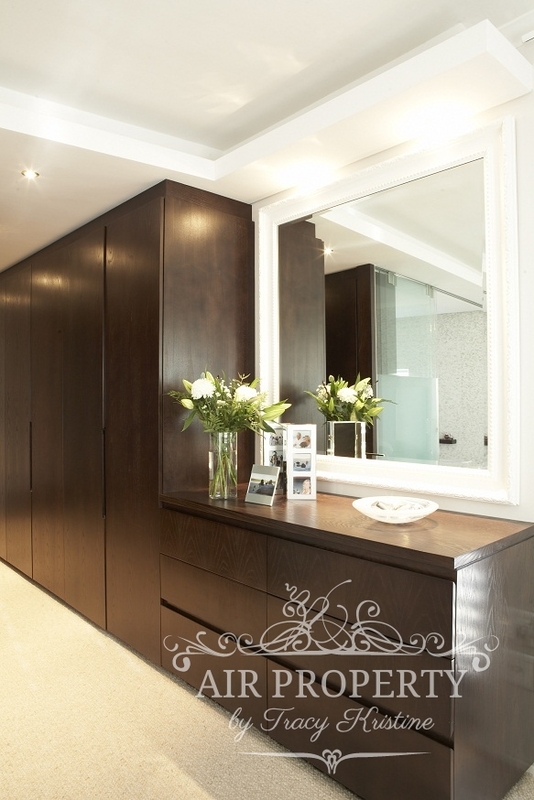 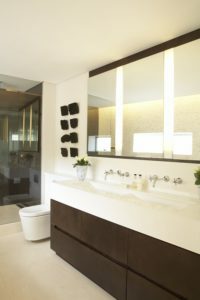 A long walk-through closet provide ample cupboard space, and a spacious en-suite bathroom boasts a luxurious free-standing bath and spacious shower, which are kept discreet by sliding panes of frosted glass, and twin vanities. 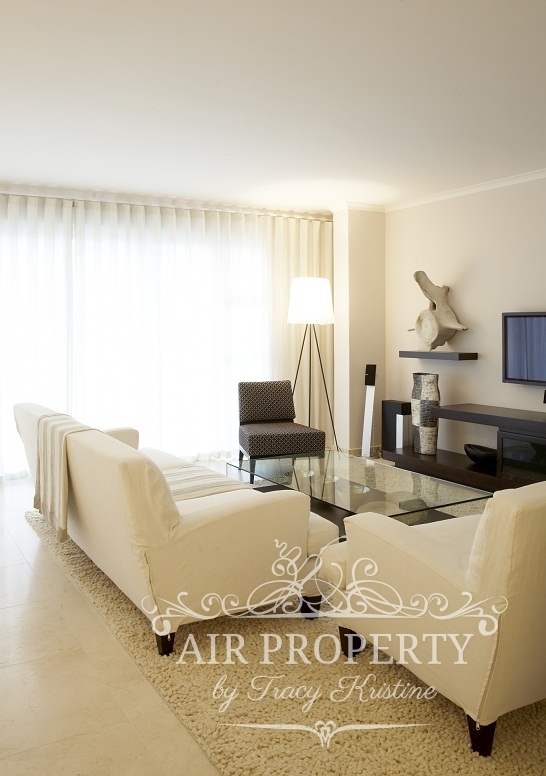 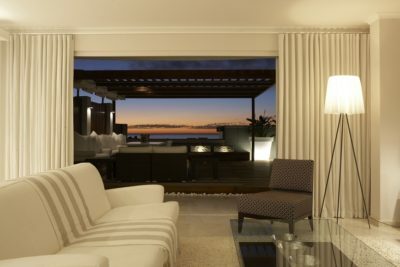 This room enjoys air-conditioning for extra comfort, and the apartment has underfloor heating throughout. 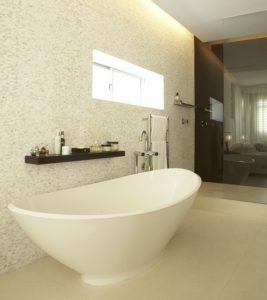 The second bedroom features twin beds that can be converted to a king if required and a dedicated bathroom with bath, over-bath shower, and single vanity. 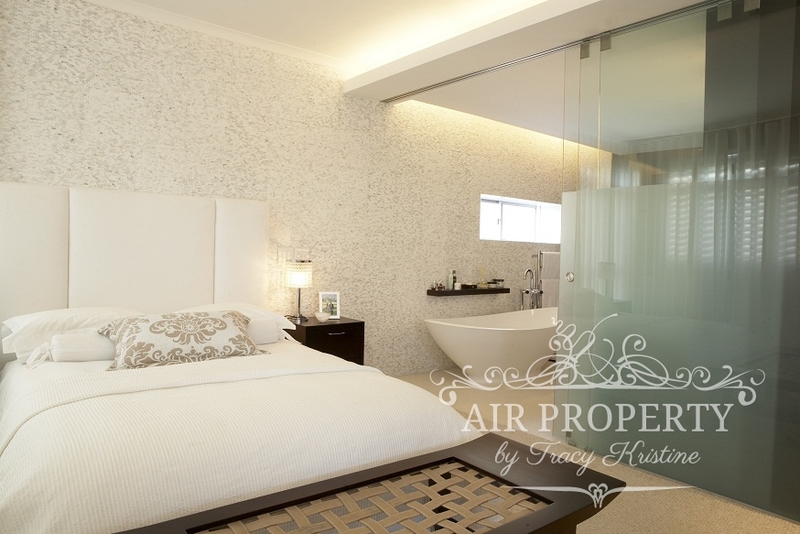 This bedroom opens onto a lovely private courtyard and herb garden, creating a sunny, relaxing ambiance. 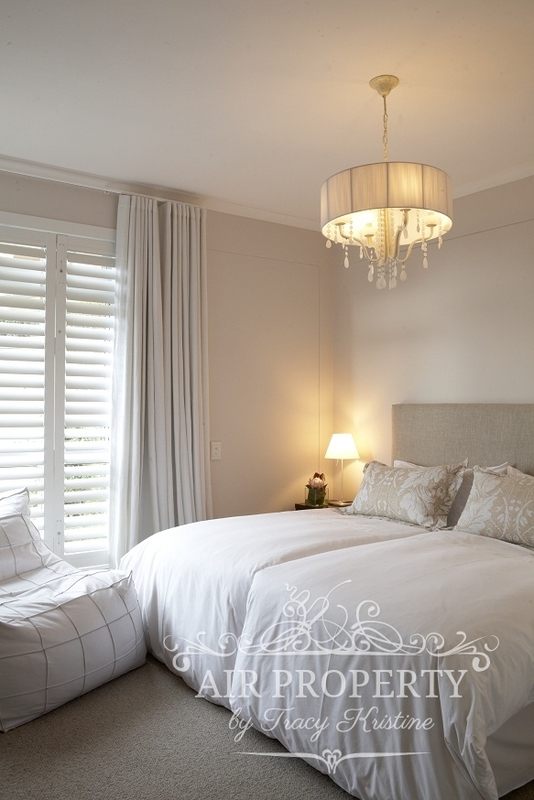 Ballerina White is located in a very secure complex, has an alarm, and specialised security shutters. 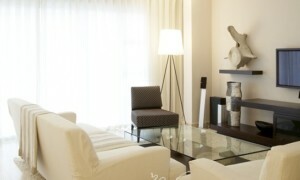 The apartment has a dedicated parking bay for residents and there is plenty of off-street parking for guests. 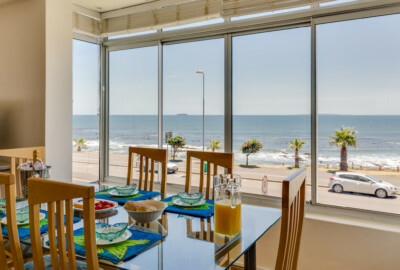 A short walk will take you to the Sea Point Promenade on the beachfront and the V&A Waterfront is a 10-minute drive away. 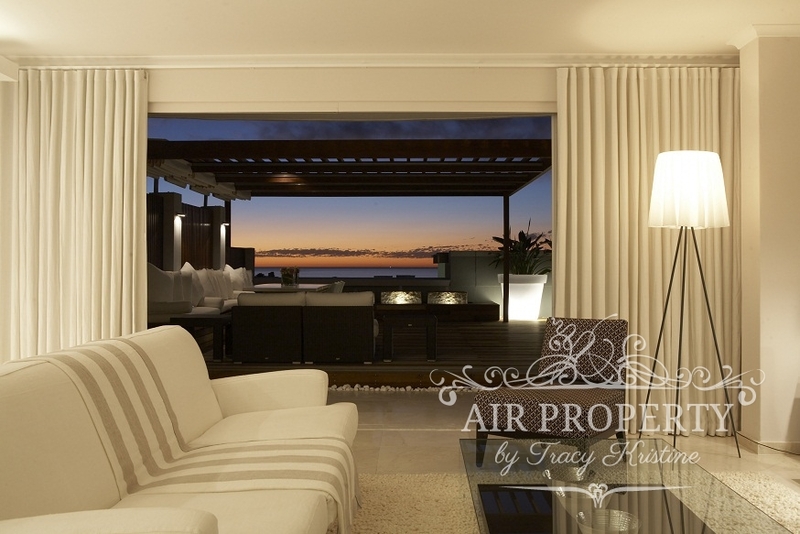 Please note that this property is not suitable for children under 12 years.